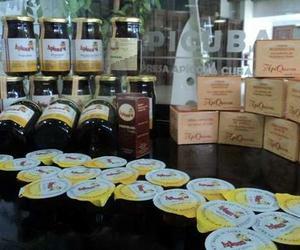 Beekeepers in the Cuban central province of Ciego de Avila collected over 110 tons of honey that will be exported after its processing in a plant in nearby Santi Spiritus province. The figure represents a 25 percent increase compared to the same period of last year, and it was possible thanks to the strategy implemented of placing beehives in the northern keys of the province. Over 3,500 beehives were moved to that area, where there is plenty of wild vegetation, blossoming during the spring that creates the right environment for the bees to produce more honey. The beekeepers in this province now have over 7,600 beehives in exploitation, and they also reported growths in the amounts of wax and bee glue collected, according to Engineer Robin Perez, director of the provincial company in charge of honey production. In 2016, this province´s beekeepers gathered 393 tons, one of the biggest volumes in recent times. Seventy percent of that amount came from private beehives. The most outstanding beekeepers is Oneido Gómez Farías, from the municipality of Majagua, whose beehives doubles the Cuban average of 50 kilograms of honey a year.